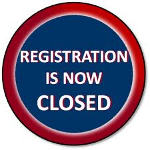 Online registration has closed, but you can still register for the race, on race morning! We will be set up by 8:30 am at the Brookside School, Lakeview Ave in Dracut. Cash or check only please. Allow enough time to arrive and register to be ready for the 10:00am start. There will be post race awards, and raffles, and the post race party at the SportsZone! See you on Sunday morning.